I have complained before that when I lived in San Antonio I often had to travel to Austin to see my favorite artists. But every now and then something special would sneak into town that I could see without suffering the long drive. It turns out that the last show I went to in SA before moving to Music City was perhaps the best that I ever saw there. Most everyone is familiar with the long-running VH1 Storytellers television series. It features an artist embellishing an intimate performance with the history and insight behind their songs. I bet few, however, remember that Ray Davies of The Kinks inspired the concept and was featured in the first Storytellers’ episode. 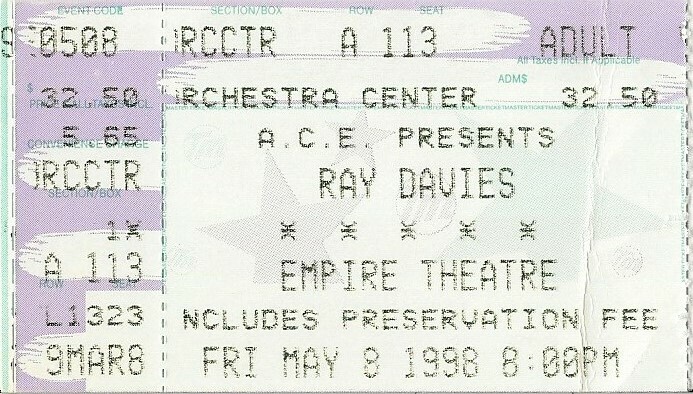 In 1996, Davies abandoned The Kinks and began touring with his Storytellers show. Accompanied by a lone guitarist, Davies ran through his personal life and musical legacy in both story and song. Many of his tales were supported with excerpts read from his 1994 autobiography X-Ray. A month before this show, Davies released The Storyteller on CD documenting this performance setting. On this special night, being in Davies’ presence in the small and recently renovated historic Empire Theatre was truly captivating. He had me hanging spellbound on every word and note throughout the entire evening. The career-spanning set consisted of stripped-down Kinks classics and some period songs he used to set the era of his storyline. If the time and setting of a concert permit, I will almost always try to meet one of my musical heroes. 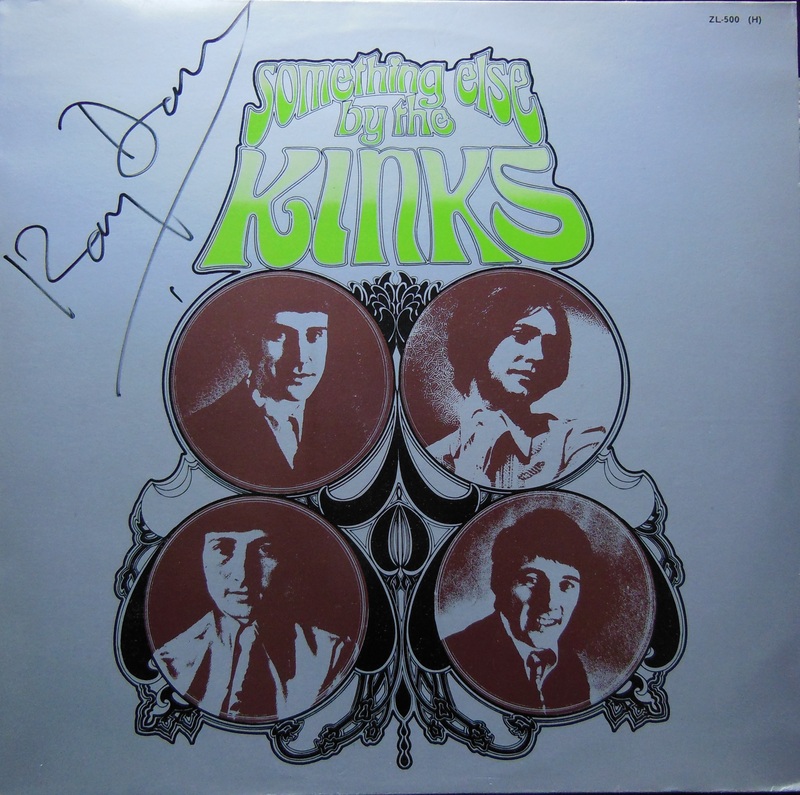 Ray Davies was no exception. By simply waiting with a few other fans after the show outside the stage door, I found easy access to the Rock and Roll Hall of Famer. After getting my record signed (see below) I took the chance to tell him something that I thought he would find interesting. During the show, Davies made a lengthy reference to Robert Johnson, the legendary bluesman. Johnson died at an early age (a charter member of the “27 Club”) and had made only two recording sessions. Oddly enough, the first was at San Antonio’s Gunter Hotel which I pointed out to Davies was just across the street from where we stood. My hopes of getting him excited about this trivial musical fact simply went flat. Maybe he was just shy and startled by the fan attention he was getting. But more likely the puzzled look on his face said that he thought that I was nuts thinking that the famous Delta bluesman recorded in Texas! Well, if my latter supposition was true, I hope he later checked out the facts and remembers the guy who told him where perhaps the best blues songs in recorded history were laid down.